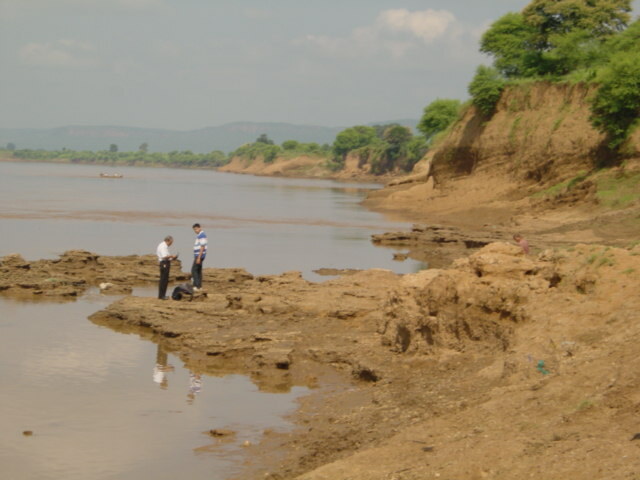 In 1982, Arun Sonakia - from the Geological Survey of India in Nagpur - discovered, on the river banks of the Narmada, a stream that runs from East to West in northern India, a fossilised human skull. The analysis he made with Marie-Antoinette de Lumley in France showed it belonged to group of archaic men, the Homo erectus. The archaeological materials found associated with this specimen (great mammal bones and stone tools) gave an estimated age of around 500,000 years. It therefore represents today’s only and oldest known remain from a fossil hominid in India. 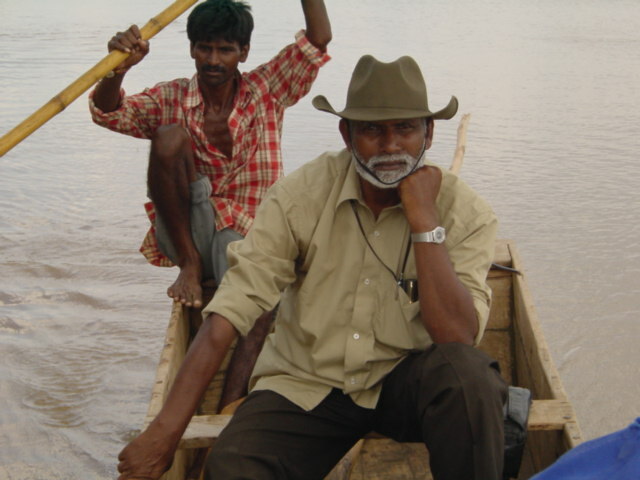 Twenty years later, a mission from the Institut de paléontologie humaine, in partnership with the appropriate authorities in India (Geological Survey of India et Anthropological Survey of India), enabled to carry out a new study of the Narmada skull, and to obtain a medical scan. The numerical data from this specimen were brought back to France on a CD Rom. In the first stage of the study, these brand new anatomical information obtained from tomographic data (from scanning) will be used (access the fossil’s internal structures : cerebral fossae, cranial sinuses, internal ear…) then, using 3D imaging techniques, the missing parts will be “replaced” by duplicating the preserved parts (only the right part of the specimen is actually preserved). Thanks to the study of these additional anatomical features (internal) and of this more complete specimen (reconstructed), a new debate on the taxonomic place of the Narmada skull and its role in human evolution will be carried on. These emerging technologies in palaeo-anthropology, necessary to the completion of this project, are a recent research focus here at the Institut de paléontologie humaine. The next stage of the project will take place on the site. As a matter of fact, only a thorough archaeological excavation will enable to better place this fossil – on a geological and chronological scale – as it appears to be an undeniable palaeontological milestone. This scientific venture has just started, knowing that no large-scale investigation has never been conducted in this part of the world. 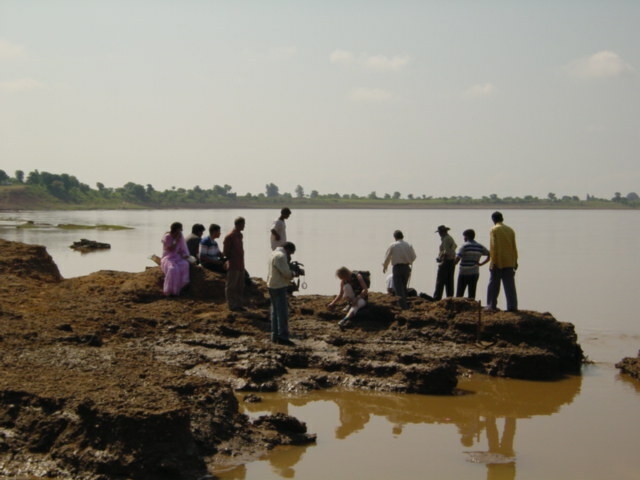 The survey that we carried out during our last mission enabled to confirm the archaeological potential of the Narmada river banks. On this occasion and on the Anthropological Survey of India’s request, we set up an ambitious French-Indian scientific partnership ratified in a research agreement between both institutions (Institut de Paléontologie Humaine and Anthropological Survey of India). The Research Agreement involving both French and Indian partners plans to form a team including numerous specialists covering every field in Prehistory (stratigraphy, sedimentology, micro-morphology, geochronology, pollen analysis, zoo-archaeology, human palaeonthology …). 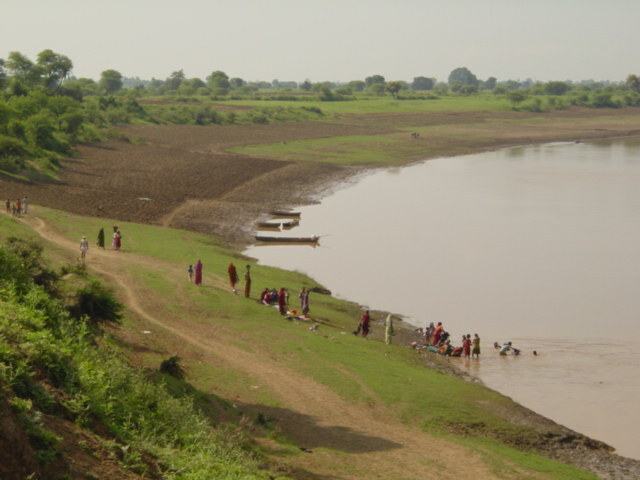 The aim is double : the Narmada site needs to be exploited in a systematic and detailed manner and the Indian prehistorians need to be trained for these various skills so that they can get a comprehensive approach (multidisciplinary) of a prehistoric site.